Good, Better, Best: Economic and Financial Challenges - Perelandra Ltd. Most everyone has experienced economic and financial challenges: Finding a new job, getting health insurance, keeping said health insurance, covering an unexpected car repair, trying to finance a mortgage before interest rates go up again, keeping up payments on your current mortgage, sending your child to college, sending yourself to college, buying groceries . . . The list of challenges varies for each individual. Here are some ways to use the Perelandra products and processes to support yourself and your family when addressing economic and financial challenges. Keep an EoP Infusion Pump in your pocket. 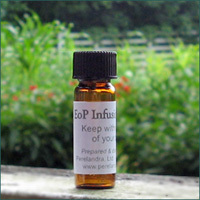 The supportive pattern that radiates from your EoP Pump bottle will help you maintain your equilibrium as you move through your day, and support your goal to make balanced financial choices. In addition to the EoP Pump in your pocket, start working with nature to strengthen and support your financial goals by using one, two or all three of these Solutions. We offer a "Just One Bite at a Time" article that explains how to do this simply. Idea #2 can help you finish that tax return, #4 will help you keep your home balanced when there is financial stress in the family. And in Idea #8 we give you the steps for shifting each of the three Solutions and include another example of how to state a financial goal. The guidelines have proven to be timeless. 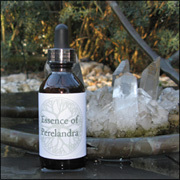 With many specific examples, they help you apply a range of Perelandra tools including Essences, MAP and EoP to calmly and creatively resolve the problems that arise during any financial crisis. Be it national, international or personal. 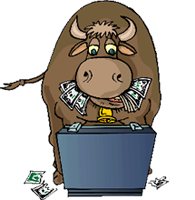 If you're stuck in "panic mode" about a financial problem, take ETS. Once you recognize you're panicking, treat it like any other emergency. 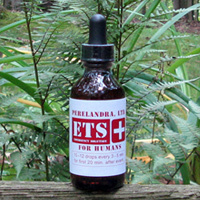 Immediately take one dose (10-12 drops) of ETS for Humans. Wait 5 minutes and then take a second dose. Wait 5 more minutes and take a third dose. Let the ETS help you get unstuck so you can forge ahead to address the problem.